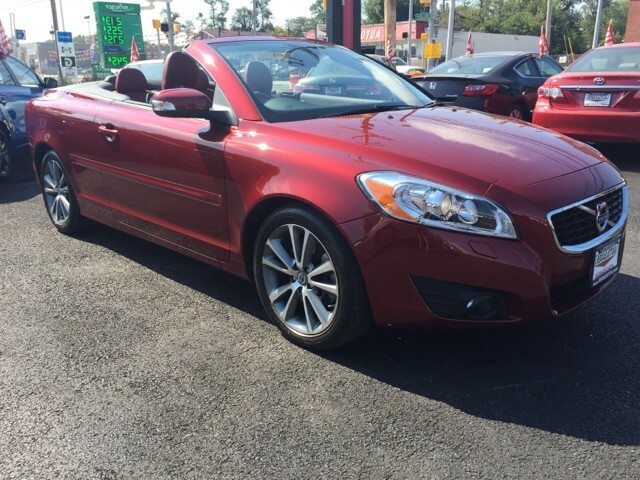 If someone would have said the ‘Volvo C70’ to me last year I would have no idea which model you were really referring to. Sure I know Volvo, it’s a household name, but It’s never been a brand of vehicle that I’ve really known back to back. I always used to envision the kind of boxy looking Volvos like the Volvo S70, which I was never keen on. So then last year, when my wife was considering a new car and she said to me I quite fancy this second hand Volvo C70 I thought she had either lost the plot or she was mistaken. Though when I googled I realised that perhaps she was on to something. She wanted a hard top convertible, obviously it ticked that box, it looked nice and she found a nice red one from 2010 which had only done 35,000, for £12,000. This was a fair bit under budget so I was more than happy to take her on the 50 mile trip to the dealer at Halesowen Used Cars to take it for a test drive. I could see my better half was sold as soon as she laid her eyes on it, she loved the burgundy body colour with the red leather interior. Personally I wasn’t a big fan of the colours, but hey, it wasn’t going to be my car anyway. So we got in the car and it didn’t take long at all before I myself was sold. Maybe it was down to the fact that it was the first time I’d been in a drop top, and it was also a really nice day, but I think I was almost as excited as my wife. What also struck me was the look of it, I’d never really thought of Volvos as good looking cars, but the C70 certainly is, both with the top down and with it up. I’ve seen it parked next to BMWs and drop top Mercedes and I’m sure the Volvo is the best looking car. Anyway after my ignorant doubts I now take the wife’s car out for a spin at every given opportunity, I feel like a kid asking my dad if i can borrow the car for the night. Its not all romanticism either, I really enjoy driving it, it handles well and the 2.0 diesel offers plenty of power. I love the car so much that I have been considering getting a second hand Volvo S60 for my next car, another Volvo that has surprised me with how good it looks.